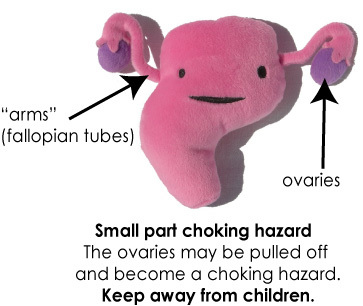 Is your plush uterus accessible to young children? If it is, you should probably send it back to the manufacturer. Get your nanny-state out of my uterus! It looks lonely! Let's buy some giant fuzzy STDs for it. Coderer: More accurately, it's be stuffed testes that would properly represent the male equivalent. Wouldn't it? I think I've seen it all and can die happy now. I think we have close to the full set of ThinkGeek plush pathogens. I suspect these new toys would be susceptible to multiple infections in our house.